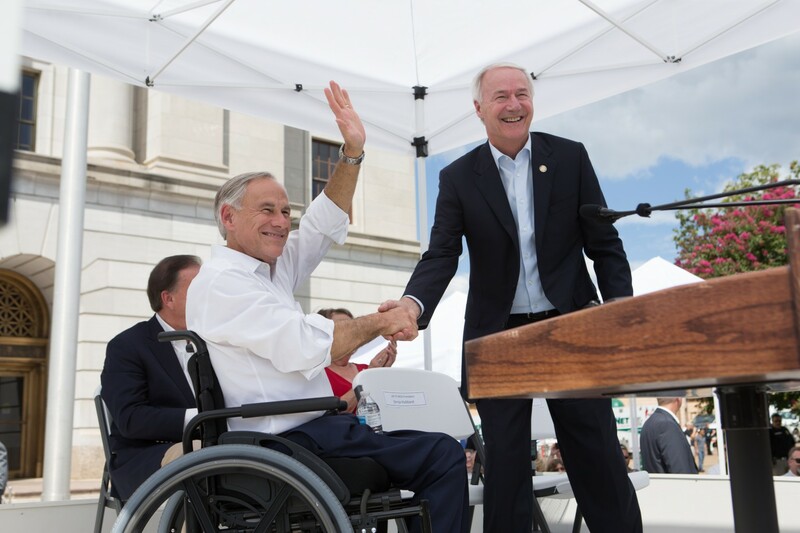 Governor Greg Abbott today joined Arkansas Governor Asa Hutchinson to announce the launch of a new unified regional economic development corporation in Texarkana. Today's announcement unveiled the establishment of a new non-profit corporation, Arkansas-Texas Regional Economic Development Incorporated (AR-TX REDI), which is designed to bolster existing economic development activities and bring new businesses and industry to Texarkana area. The AR-TX REDI will be located at Texas A&M University-Texarkana, and will enable stakeholders to work in unison across state lines. The corporation will also be critical in attracting new businesses and investment across multiple industries in the region, such as manufacturing, transportation and the medical sector.